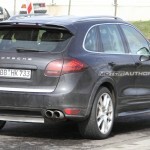 The new, second-generation Porsche Cayenne SUV has been on sale for just under a year now but like any model from the legendary sports car brand, special editions and uprated models are always in the pipeline. 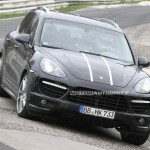 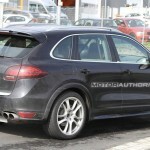 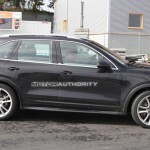 One of these will be the sportier ‘S’ variant of the Cayenne Turbo, which has been spotted testing in prototype form for the first time, where else but at Germany’s Nurburgring circuit. 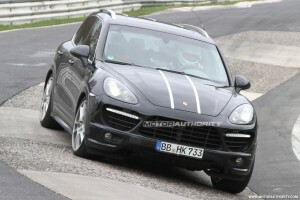 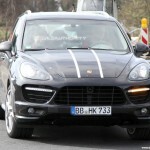 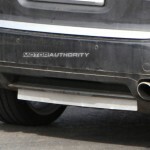 The current 2011 Porsche Cayenne Turbo makes do with a twin-turbocharged 4.8-liter V-8 delivering an even 500 horsepower. The Cayenne Turbo S, which should arrive towards the end of the year as a 2012 model, is likely to be packing a 550 horsepower version of this engine. This, incidentally, represents the same leap in performance seen in the 2012 Porsche Panamera Turbo S over the regular Panamera Turbo. 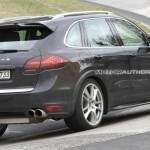 The increased engine performance can be attributed to two main enhancements–improved turbochargers with titanium-aluminum turbine wheels and a modified ECU. 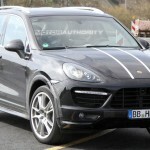 Other modifications should include a slightly revised bodykit, new wheels, possibly increasing vehicle track width, as well as more trim options for the cabin. 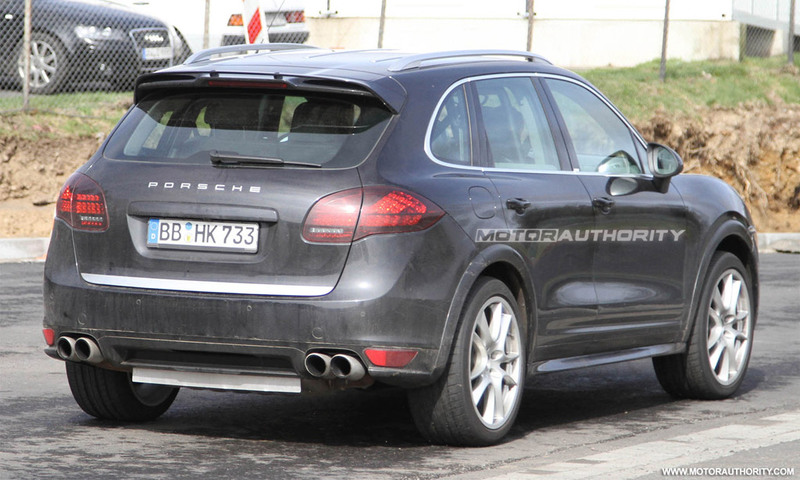 The prototype seen here appears to feature a lower front bumper, additional aero parts at the bottom of the doors, and a heavily camouflaged rear diffuser.